Qatar is reluctant to agree to moves by Fifa to increase the size of the 2022 World Cup to 48 teams – and you can see why. Earlier this week the tiny Gulf state was proudly announcing that 90% of the tournament’s infrastructure, including eight stadiums, would be in place by 2019. Suddenly it’s being asked: four more stadiums, please. The likelihood is that this is beyond the reach of Qatar, even with its vast wealth. There’s already been talk of Iran being used as some kind of accommodation overspill and you would think that 48 teams, instead of the 32 they were expecting, plus all their travelling fans, would be too much. Doha has had to restrict the tournament to a tight 28-day schedule to cause minimum disruption to domestic competitions over winter, when the tournament is being held to avoid the searing summer heat. To expand it by an extra 16 teams would play havoc with the Premier League even more than is currently the case, as the schedule would have to be longer, so Fifa can expect a backlash if it tries to push this through.But apart from a logistical nightmare, what would it mean politically if Qatar was forced to share its hosting of the tournament with a country like Kuwait? In short, huge loss of face for Qatar and a big victory for its enemies. The Saudi Arabia-led alliance – including the United Arab Emirates, Bahrain and Egypt – which launched a diplomatic and transport blockade of Qatar ten months ago will be rubbing their hands with glee at the prospect of Qatar having to share the World Cup with another Arab country. After all, they launched the boycott because they were jealous of Qatar winning the world’s most prestigious sporting competition in the first place and have been campaigning for it to be stripped of the event ever since. In October a senior Emirati official, Lieutenant General Dhahi Khalfan, even let slip that the whole blockade would be called off if Qatar was removed of the World Cup. So you can imagine how the quartet would love to see Qatar cut down to size, how they would sneer that their rival was too small and puny to host a World Cup on its own. These countries are essentially bullies who believe Qatar needs to know its place. They hate the way the Doha government supported pro-democracy revolutions during the Arab Spring, when they themselves have launched brutal clampdowns on protestors who threaten their royal rule. They hate Qatar’s internationally respected television station, Al Jazeera, because it represents a free press. They hate, in short, the fact that Qatar is a sovereign nation pursuing an independent foreign policy, refusing to do what it is told. This is most glaringly demonstrated by Qatar’s close relations with Iran, whom the Saudis abhor, but with whom Doha maintains diplomatic relations because the two countries share a natural gas field on which the tiny Gulf state’s huge wealth is based. The quartet will be rejoicing if Qatar is forced to share its hosting of the World Cup with Kuwait or, heaven forfend, one of them. But it’s difficult to see how that could happen in the current climate. Kuwait is the most likely after it stepped in to host the 2017 Gulf Cup when Saudi Arabia, Bahrain and the UAE said they would boycott the event if it was hosted in Qatar. 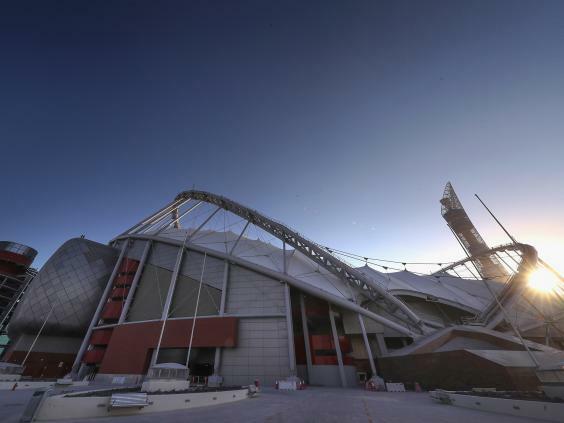 However the Jaber Al-Ahmad International Stadium is the only venue in Kuwait that’s able to meet the standards of a World Cup without renovation. And the clock’s ticking. In a way, Qatar’s words are coming back to haunt it. When, back in 2010, it won the right to host the tournament it made great play of saying that the Fifa vote was not just a victory for Qatar, but for the whole Middle East, which has not hosted the event before. They said it would be an opportunity for the region to come together in sport. Little can it have imagined that eight years later it might be asked to share the hosting of the event, potentially with its enemies. 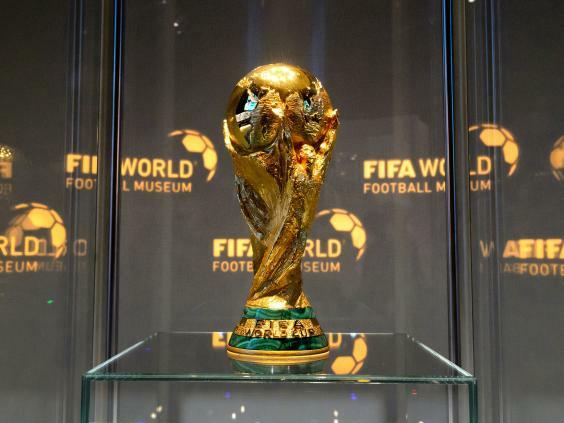 The fact is that the controversial awarding of the 2022 World Cup to Qatar has only sown division across the Middle East as the country’s enemies sought to have the prestigious event removed from their rival. It’s a sad fact that while the Arab people might have welcomed the World Cup coming to their corner of the globe, the response of other governments in the region has been one of petty jealousy. 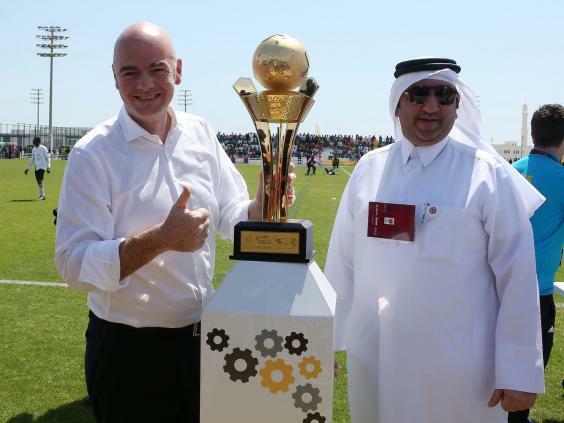 For them any loosening of Qatar’s grip on the World Cup trophy is something to celebrate. It is for this reason that Qatar is likely to resist any moves by Fifa to strongarm it into agreeing something it does not want. The bid was for a 32-team tournament and you can’t just tag on another 16 teams – and four stadiums – when you’re two-thirds of the way down the road. At the moment this is merely a request by the South American soccer confederation, Conmebol, so they can increase their representation at the tournament by one. 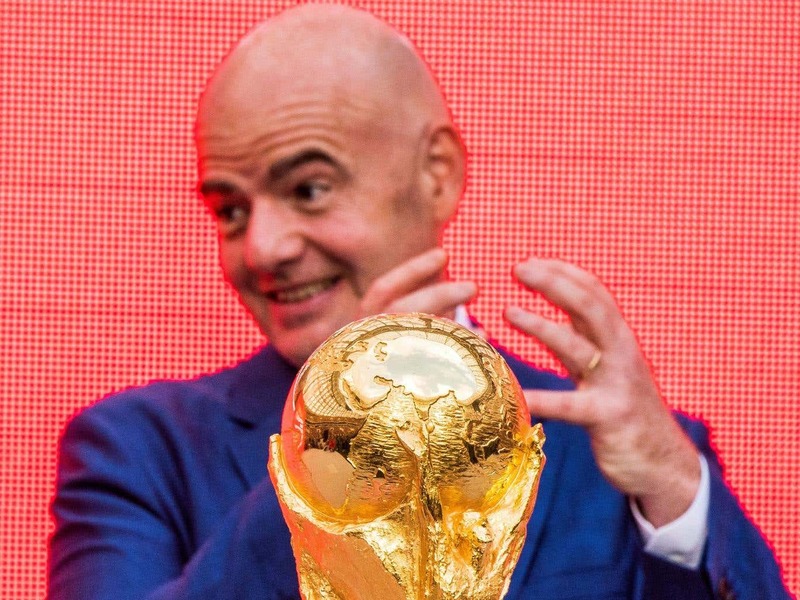 But Fifa boss Gianni Infantino is going along with the plan because it will bring an extra billion dollars into the organisation’s coffers, and help his re-election next year when he needs the votes of the federations. If Qatar does manage to head off the plan, the new super-size World Cup will be a reality in 2026 because a 48-team tournament is part of the bid. When you consider it’s between one country, Morocco, and the combined might of the United States, Canada and Mexico I’d say it was a slam dunk which one will win.